Fa-la-la-la-la! 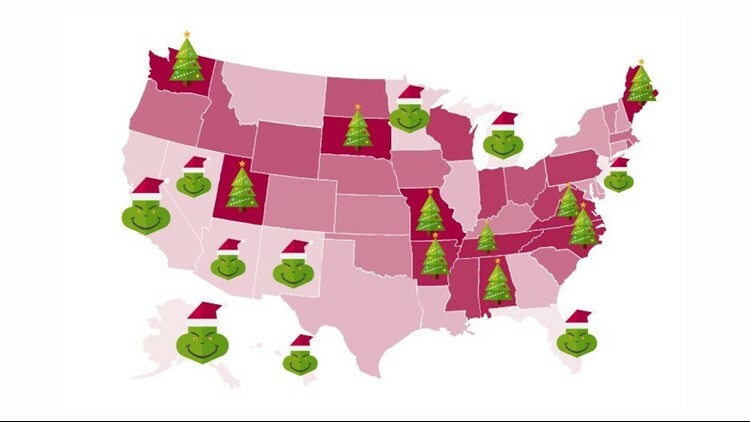 NC Places in Top 10 for Christmas Spirit! The survey looked at online activity and area culture to determine a state's overall Christmas spirit. Turns out, Floridians are filled with Scrooges and Grinches when it comes to Christmas. The Sunshine State ranked No. 3 for having the worst Christmas Spirit in the nation, according to a new survey. The three states with the worst spirit: Alaska, Hawaii and Florida. Georgia ranked No. 10 with the worst Christmas spirit.